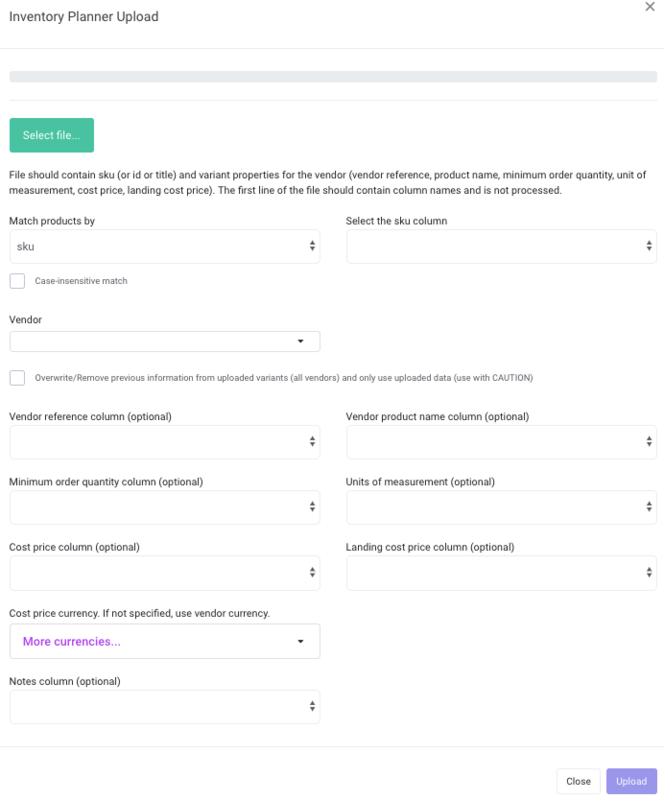 If your website platform does not have a cost field or you need enter product or vendor information in bulk, you can do this by importing the data from a CSV or Excel document. You can begin importing data from Replenishment, Vendors, Purchase Orders, or Overstock. 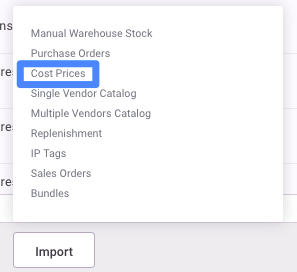 At the bottom left of your screen in Replenishment, Vendors or Overstock, look for Import > Cost Prices. 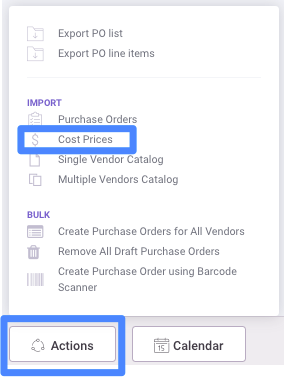 In the Purchase Order section, click Actions to see Import options. Select the file from your computer. No template is needed to upload information. To upload the correct information, match the column in your spreadsheet to the appropriate column field in Inventory Planner. Click Upload to save this information. 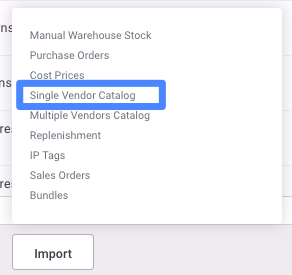 To upload additional information that cannot be imported from your website platform or inventory management system, click on Import or Actions in Replenishment, Vendors, Purchase Orders or Overstock. Uploading several fields of information can be done easily with a Single Vendor Catalog. Then select the file from your computer. No template is needed to upload information. 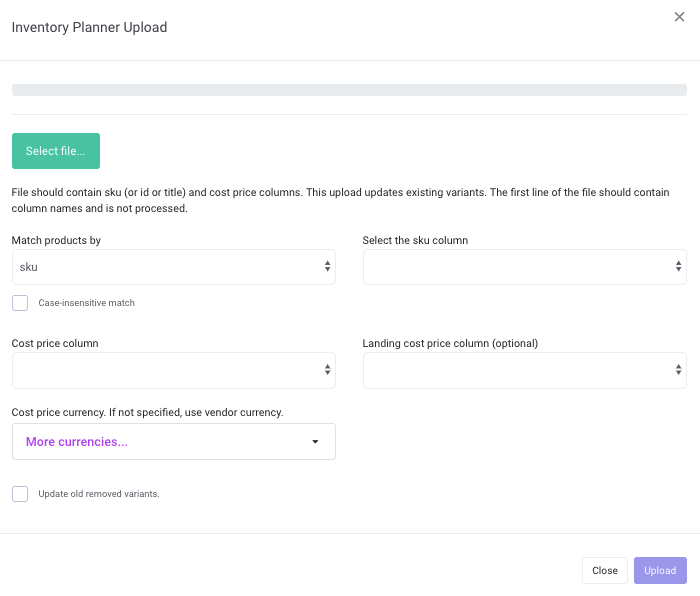 To upload the correct information, match the column in your spreadsheet to the appropriate column field in Inventory Planner. Click on Upload at the bottom of the screen to save your information. To see more methods to change your cost price, see our article about updating costs.